Attention everyone! Nicki Daily is currently looking for a new staff member. They would like someone who is experienced with Word Press and can update their site with the latest news on Nicki Minaj as soon as it’s revealed. They would also like one user who can update the gallery with the latest and most exclusive images of Nicki Minaj. The user MUST be experienced with Coppermine. If anyone can do both of these jobs (or either one) and is interested in working for the site, you can e-mail Nicki Daily at nickidaily@gmail.com. 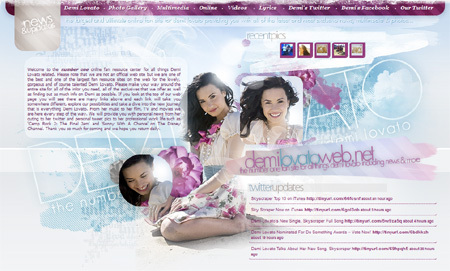 DemiLovatoWeb.net has been the hottest 24/7 source for Demi Lovato since 2008. Kayla (the owner) is looking for staff members to help her update news, photos, and videos on Demi Lovato to continue to be the best source for her. The requirements for this job is that you have to know how to use WordPress, Coopermine Gallery, and PHP. She would also like the staff members have and know how to use photoshop. If you have these requirements and want to be a part of DemiLovatoWeb.net please email Kayla at demilovatowebteam@gmail.com with an example of your work/current site you own or you can email her if you have any questions. 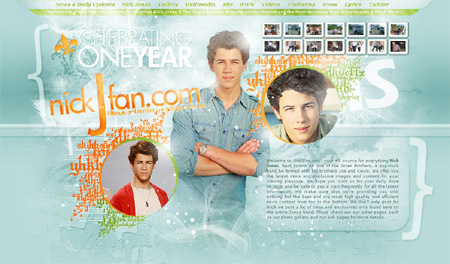 NickJFan.com has been the number one source for all things Nick Jonas since 2010. Kayla (the owner) is looking for staff members to help her update news, photos, and videos on Nick Jonas to continue to be the best source for him. The requirements for this job is that you have to know how to use WordPress, Coopermine Gallery, Icon Sort, and PHP. If you have these requirements and want to be a part of NickJFan.com please email Kayla at nickjfanteam@gmail.com with an example of your work/current site you own or you can email her if you have any questions. 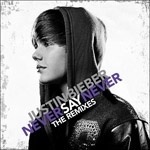 JustinHQ.Net is giving you the chance to win Justin Bieber’s CD called “Never Say Never: The Remixes.” This is mainly a Twitter contest. The contest is worldwide, we only have one album with us. This is how you win, you get people to follow us on Twitter. How simple is that now? The person with the most followers given to us wins. Please send all the followers you told to follow us and you see they are following us to ciscojonathanmata@gmail.com every week. 1) No cheating, do not make up our current followers. We will know! 2) Must tweet us if you are joining. Tweet 41900 to @JustinHQ. 3) Give us time to calculate the results, please do not rush us. Ally, the webmistress of NickJFan.Com, has given up running this fansite which is why the domain is available for adoption along with the whole content. Apart from readable information, you may also adopt +45,000 gallery. If you are a fan of Nick Jonas, do not hesitate and apply now!! This domain has already been adopted. 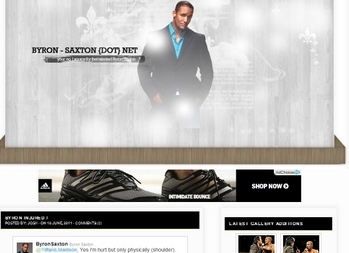 Byron-Saxton.net, your most updated source for Byron Saxton, is looking for co-owners! I could really use help on updating on random things like photos, media, news and such. I’ve been very busy and need help. So if you wanna be a co-owner tweet me @byronsaxtonnet or e-mail me. 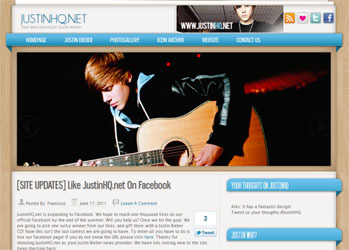 JustinHQ.net is your online source for the talented artist Justin Bieber! I (Francisco), the owner of the site, am looking for co-owners to post news and videos on a daily basis. I’ve been very busy and I can’t update it on myself at the moment. So if your available, tweet me on @JustinHQ on Twitter! 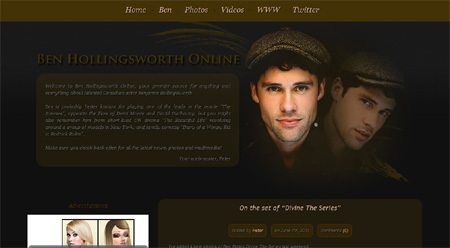 Peter, the webmaster of Ben-Hollingsworth.Com, has decided to give up running this fansite. If you are a fan of Ben, feel free to adopt this site with the content, including +2,800 gallery! Fill in the application form and do not forget to attach the samples of your works! Killed Yesterday Designs is an online web design service for fansites; we provide you with high quality and unique design and coding for your website. Since 2008, we have been taken many orders for fansites and are now offering a special opportunity to Flaunt.nu hostees – a 10% discount forever on all packages at http://k-designs.us! So feel free to browse our portfolio and place an order today as a fansite combined package (includes Coppemine Gallery Theme and WordPress Theme) is only $18! Feel free to e-mail us if you have any enquires. Red-Evermore Designs, Flaunt Network’s newest design website, is now open! Please check it out and see my designs! I offer high quality designs and great prices! If you have any questions or comments, please feel free to e-mail me at redevermoredesigns@gmail.com. I appreciate any sort of feedback!